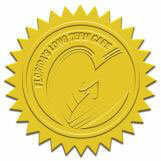 Premier Senior Consultants would like to congratulate the local Central Florida recipients of the Governor’s Gold Seal Award for Excellence in Long Term Care! These skilled rehabilitation centers have exhibited outstanding quality and service and are focused on the total well-being of their nursing care residents. Established in 2002, the Gold Seal program was developed and is implemented by the Governor’s Panel on Excellence in Long Term Care. The centers must meet stringent requirements for quality of care and must score and rank in the top 10 percent in their region or top 15 percent in the state while also being listed as a Five Star center in the AHCA Nursing Home Guide. Central Florida is lucky to have these skilled rehabilitation centers in our community! If you are interested in learning more about long term care options, you may contact Holy Jennings or Carrie Vick of Premier Senior Consultants at their Premier Pointe office by calling 407-703-7022 or by emailing info@pscfl.com.